Specifically, the disposable packaging in our culture that was creating a phenomenal amount of waste. It hit him hard. In his native Bavaria, Germany, he’d grown up in a society that took recycling for granted. Like the kids who grew up in mid-twentieth century America, Jürgen and his friends had capitalized on the deposits they received from collecting discarded bottles. “Everybody recycled: Kids, youth groups—we all had money. We all returned the containers for a deposit,” he said. 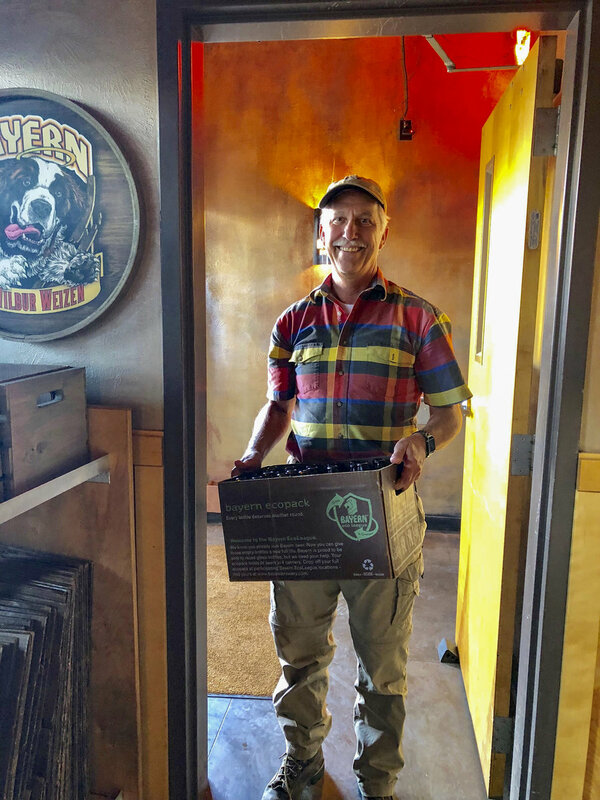 By the time he arrived in Missoula to work at the new Bayern Brewery inside the old depot building on North Higgins, returnable bottles had been largely abandoned by beverage manufacturers in favor of more economically feasible containers like one-use glass and PET plastic bottles. Landfills were piling high with beverage containers, and Jürgen was set on a mission. 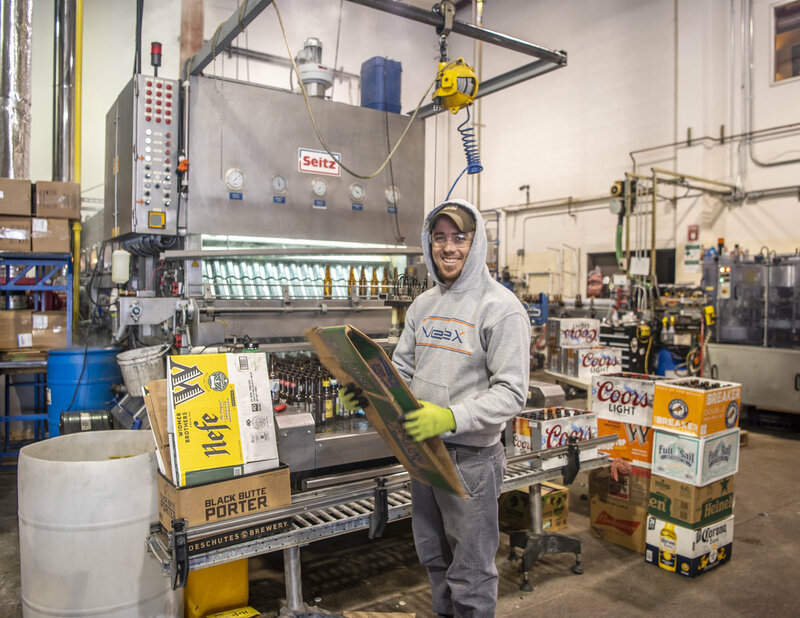 It would take a couple of decades, but the young émigré with the light blue eyes and a push-broom mustache was committed to reversing the trend of waste in the beer industry. He would start, of course, with Bayern. 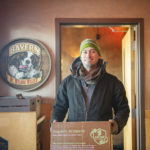 Montana’s oldest operating brewery, Bayern, crafts lagers in the traditional Bavarian style of brewing, adhering to the 500-year-old German purity law called Reinheitsgebot. Bayern was also Missoula’s first brewery, arriving at the beginning of the craft beer explosion. 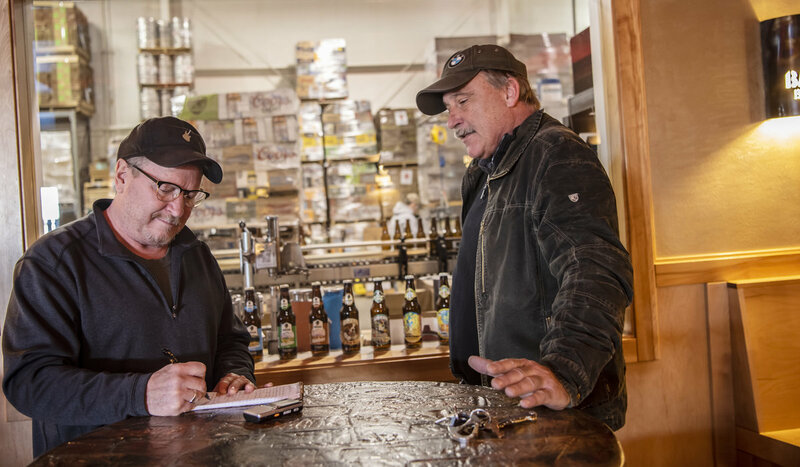 They began bottling their beer in 1997 to sell through local retailers. Jürgen, who by this time owned the brewery, still searched for ways to run a more environmentally friendly business. 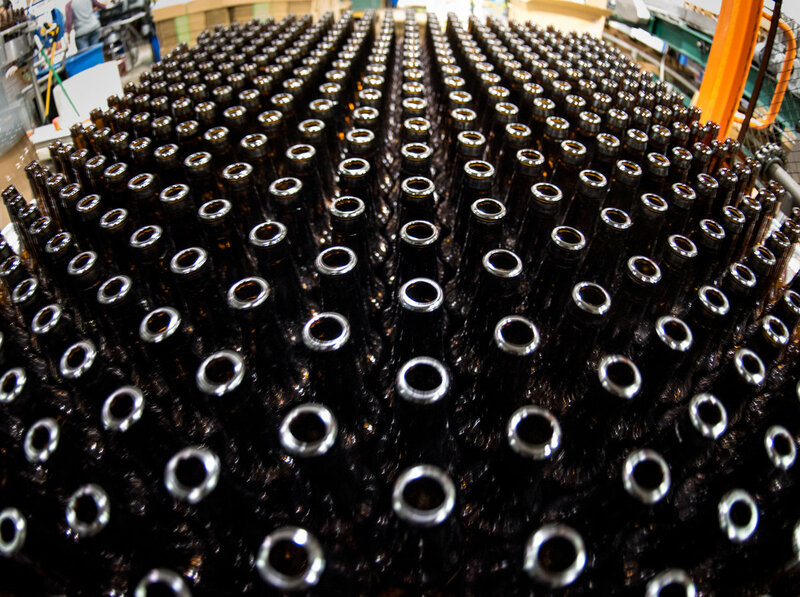 One afternoon on the bottling floor, a bottle fell to the concrete but didn’t break. “I thought, for a non-returnable bottle, that’s pretty sturdy,” said Jürgen. He sent some bottles to Germany where they measured the density of the glass to determine the structural integrity of the bottle. In 2012, Jürgen took delivery on a custom-designed bottle washing system that was fabricated by Seitz Werke in Germany. 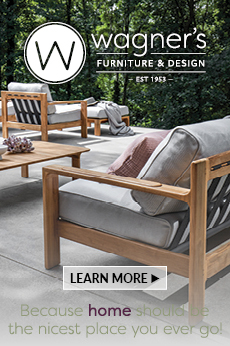 It was designed and built to fit the footprint inside Bayern’s warehouse at their present location on Montana Street, at a cost of $400,000. At the time it was the only bottle washer in the United States. 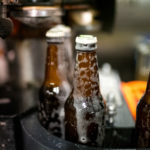 Bucking the disposable-bottle trend of the brewing industry, which had already begun moving toward screw-top aluminum “bottles,” Jürgen kicked his reusable bottle crusade into high gear. If he built the bottle washer, the bottles would come. 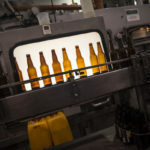 At first, they started to trickle in as Bayern promoted the return of not just their own bottles, but any standard beer bottle that didn’t have embossing, a twist-off opening, or plastic labels. They would be washed and refilled with Bayern beer, ready for another go-round at a retailer. 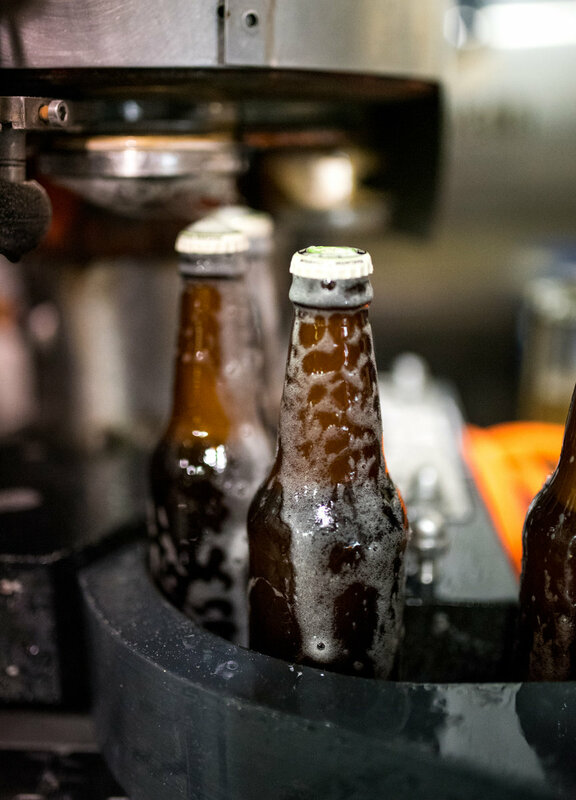 The washer runs about six thousand bottles per hour through the system, and even if all the beer bottles purchased in the Missoula Valley were returned to Bayern, it wouldn’t be enough to justify such a costly enterprise. Not even on Griz football weekends. As for the rest of Montana, the geographic size and thinly scattered population made it impractical to generate much in the way of returned glass. So where would all these bottles come from? 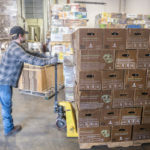 On a recent Thursday afternoon in the Bayern warehouse, a forklift plucks a dozen pallets from the back of a semi, each stacked to eye level with cases of empty beer bottles, all from Oregon. 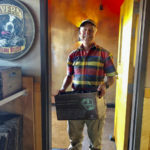 The boxes bear logos from several Oregon breweries: Double Mountain, Widmer Brothers, Wild Ride and more. 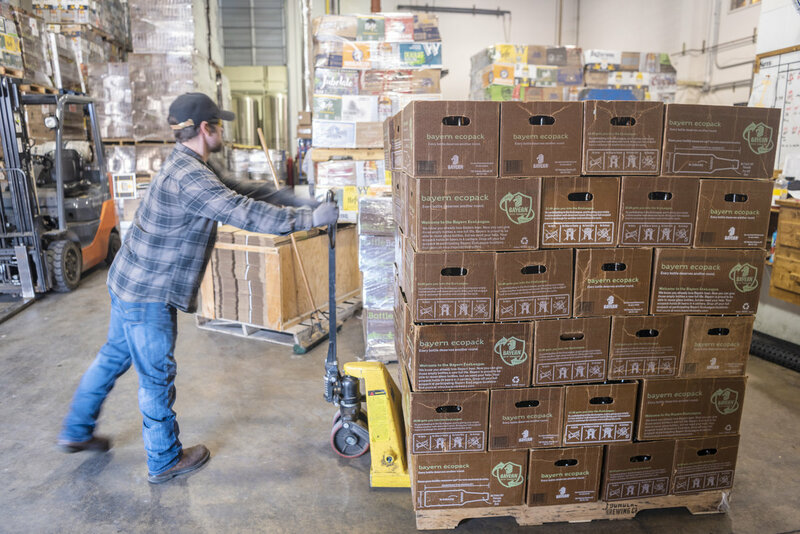 Six Oregon microbreweries have signed on to the state’s returnable bottle program, and more are lining up. 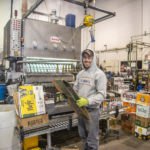 The bottles themselves have been specially designed and fabricated to withstand about 45 uses, and Oregonians can return them at any of the automated BottleDrop collection centers located near stores throughout the state. 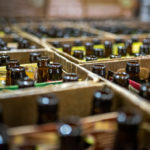 Spurred by Oregon’s “bottle bill,” legislation that levied a ten-cent deposit on beverage containers in 2018, the recycling of beverage containers there has skyrocketed. 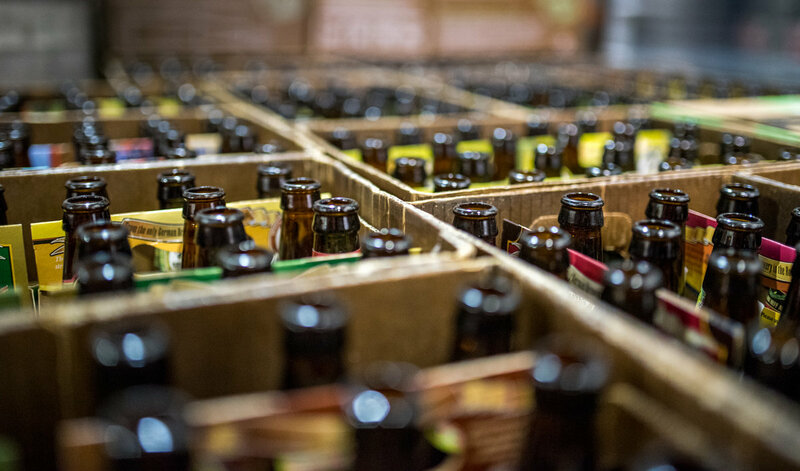 “The vast majority of bottles we recover are still recycled,” said Joel Schoening, spokesman for the Oregon Beverage Recycling Cooperative, a collaboration between beverage retailers and distributors. “There are zero tax dollars involved,” he added, noting that unredeemed deposits covered most of their operating budget in 2017. 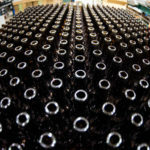 The collected bottles are sorted, boxed up and shipped to Bayern. Even with the energy used by trucking the bottles 500 miles each way, they come out way ahead in carbon footprint reduction. Upstairs in Edelweiss, Bayern’s two-level taproom, Jürgen sits at a table near a large window overlooking the bottle washing system. Brown longnecks totter along on the conveyor in more-or-less single file, and observers of a certain vintage may half-expect to see a bottle go by wearing an upturned glove, a la the opening segment of the TV show “Laverne and Shirley.” Once the bottles congregate at the washer, they are removed from the line 24 at a time by an employee using a contraption that resembles a mechanical cow milker. 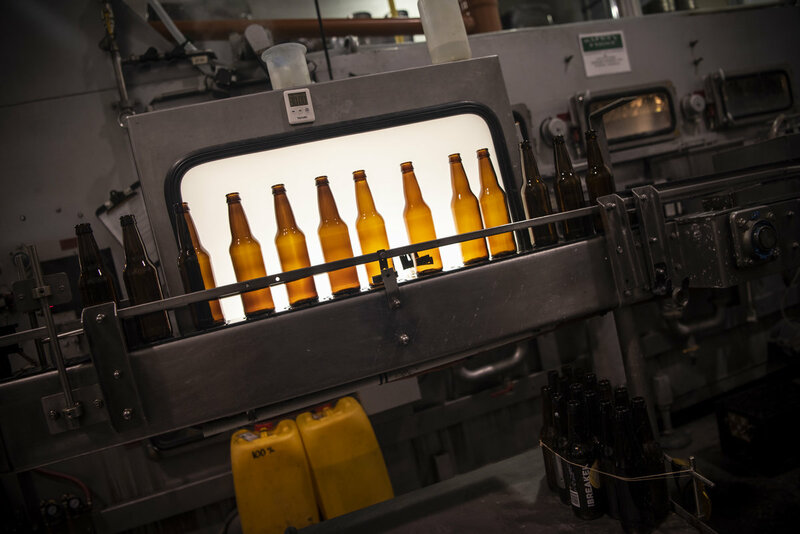 The bottles are fed into the Winnebago-sized washer, where they are bathed in a 175-degree caustic fluid and the labels are removed. Glue is one of the biggest problems. “When there’s heavier glue we need to run the bottle through twice,” said Jürgen. Glue machines can be adjusted to use less glue but the (reuse) mindset isn’t there.” It’s also why Bayern doesn’t accept bottles with plastic labels. Bayern is now using one hundred percent reusable bottles. It’s an astonishing achievement, but for Jürgen, it’s not enough. 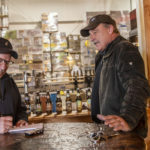 It’s not easy being at the forefront, but as the original master brewer in Missoula’s first brewery and still the only German-style brewery in the Rockies, Jürgen Knöller is not afraid to be out on the bleeding edge. “When you do something new, just imagine how hard it is doing that grassroots effort, being the first one, trying to get it into people’s minds: Hey, there’s the concept of a reusable container,” said Jürgen. His pale eyes take on a hard light as he watches the bottles clatter their way toward the bottle washer, destined for a brewery in Oregon, or maybe eastern Montana, or possibly right here at Bayern. Bring Your Bottles! 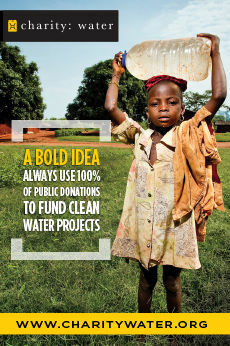 Or Have A Drink. Open Hours: Monday through Saturday, 11 a.m. to 8 p.m. and Sunday, 12 to 8 p.m.